Many of you may not know that I’ve worked as a stylist for the past year at my favorite store, Madewell. My love affair began when I discovered their new Atlanta store in 2007. They didn’t even have a shoppable website yet! I love everything about the understated yet cool and unexpected vibe of the brand, and I’d always secretly wanted to work there. When I needed a part-time gig after I moved to Charleston, the King Street store was calling my name. 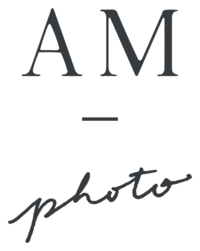 As my photo business has grown, I decided I had to bid Madewell adieu (don’t worry, I’ll still be in the store 24/7). I had my last day of styling this week, but I wanted to share a recent store event I photographed with Charleston’s own Paper Meets Pearl. In addition to blogging about her fashion inspiration and DIY home projects, Kelly works at the SPCA helping animals find loving homes! Her event at Madewell raised money and awareness for the SPCA, and she tried on some looks from the new summer collection. Thanks for stopping by, Kelly! Shoutout to my Madewell family! I love you all!